There are so many ways that you can spend your digital advertising budget these days, but many businesses forget about the options that they have on LinkedIn. 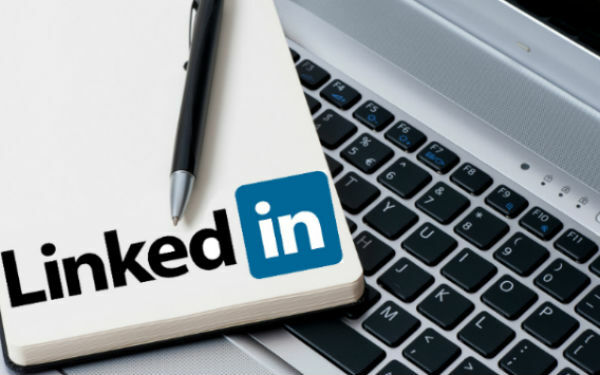 More often than not LinkedIn is overlooked when it comes to advertising; this could be due the size of the audience (less than Facebook) or that marketers tend to think of it as a place for building connections rather than sharing content, amongst other reasons. But, despite the 'smaller' audience, advertising on LinkedIn can help you achieve a very precise reach due to its comprehensive targeting options. In a B2B context, profiles are typically much more up to date than what people list on their personal Facebook or Twitter pages. Text ads - which are shown only to desktop users on the internal pages of LinkedIn. You are really limited with characters too, 25 for a headline and 75 for the description. Sponsored updates - these are shown in the news feed of LinkedIn users on both desktop and mobile. You can include a large landscape image and have more flexibility with your character count. These are best for sharing content. Poll ads - that enable you to conduct market research such as customer preferences while also creating awareness for your brand. Join group ads - to provide an ongoing channel where you can keep the conversation going with your customers (can also help to position your brand as a thought leader). Social ads - similar to Facebook, you can target your customers by using what LinkedIn knows about a person and their habits and integrate that into the adverts. Video ads - the interface from LinkedIn lets you use YouTube videos or ads that you create in 30-second clips, and they are placed in the same way as other types of ads on the platform. To decide which type of advert you should use, think about your offer and how it would best be presented to and received by your target audience. You could even run A/B tests and see which type of ad for the same offer gets the highest number of click-throughs - this would help you to understand the best medium for your buyer persona. Your ads won't be relevant to everyone, and the more that you target, the higher the returns you'll see on your ad spend. One of LinkedIn's strengths is the ability to target tightly and focus on very specific markets. You can use their precision B2B targeting to select by country, job titles, seniority, industry, company size and even skills or interests. Once you have used these filters, it is also possible to specify people who are connected to a particular LinkedIn group for example, which will show that they have an interest in receiving information regarding certain topics. If you're unsure about who your target audience is, you need to take a step back from preparing any LinkedIn ads and take a look at your buyer persona. Here are some helpful tips and hints to put together your buyer persona. The CTA is where people will make their decision to stop and click. While the image and description will help on an ad, the majority of people will have already made their decision whether or not to click before reading the copy. Don't assume that your user knows what you want them to do. Your ad needs to convince people to take action, to click on it, so use actional words like 'download' or 'discover'. Remember to keep your CTA to the point, now isn't the time to be metaphorical and ambiguous - your target audience need to understand what they're going to get from clicking on your offer, otherwise they won't. I will start by saying, there's no single suggested amount for your budget, this can change from company to company, and offer to offer. As a starting point, don't run your budget too high - you need to know if your ads are really going to work before spending lots of money on them. And similar to not going in too high, don't go in too low either, you don't want to spend all your budget in a few hours as you won't get an accurate result of how effective LinkedIn ads can be as the campaign won't have had enough time to run its course. CPC is where you will be charged up to your maximum bid each time your ad is clicked by a member of your target audience - this method is best for generating leads and engagement. If your goal is to do with click-through rates (CTR), this is the route for you as you'll only spend your budget when someone physically clicks on your ad. CPM - also referred to as cost per thousand impressions is where you're charged up to your max bid every time your ad is shown 1,000 times on LinkedIn. This is the best option if your goal is related to building brand awareness as thousands of LinkedIn members will see your ad and you can set your budget as low, or as high as you want for the best results. The only way that you'll learn how effective your ads can be is by testing continually. In the LinkedIn advertising platform, they suggest that you create multiple versions of your ad so that you can quickly determine which messages resonate the most with your users, and disable the campaigns that don't seem to be working. If you don't have conversion tracking set up, the CTR of your ad will be the best indicator of its performance. According to LinkedIn, a good advert has a CTR of 0.03% or more. If your ads aren't getting this sort of CTR, there's always something that you can do to change that. Start tweaking your ads, and running them to see the results, but only change one thing at a time so you can see which element makes the difference. Just keep testing. There will always be something that you can change on your ads to improve their performance. Need help? The world of social media and social media advertising can be a confusing place. If the thought social media marketing is giving you headaches, download our guide Social media for business: Developing your social media strategy, and learn how to make your social media marketing results focused.